Last seen for $515.00 at Anne Sisteron. 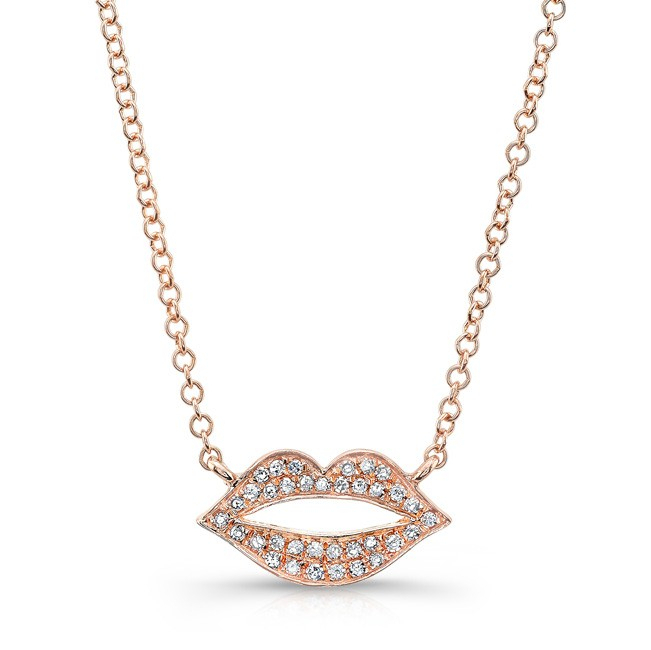 "little Princess" Sterling Silver Kiss Pendant Necklace, 16"
Sterling Silver Bermuda Pear Shape Pendant Necklace With London Blue Spinel, 17"
14KT Rose Gold Diamond Kiss Necklace. 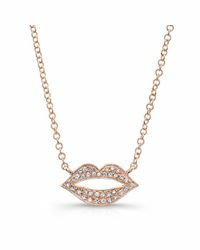 Lips Shape Diamond Necklace. Necklace chain measures 16"-18" with adjustable clasp. Pendant measures 1/4" x 1/2" in length. Color: 14KT Rose Gold. Primary Stone: Diamond. Approx. Carat Weight:. 10. Number of Stones: 35. Chain Length: 16 inches.